The 1993 Phillies were the most fun team I have ever followed. I was nearing the end of my college years, and I vividly remember the insane night when me and 3 buddies celebrated a win at 4:30 in the morning, and the exact spot I was sitting when our hearts were broken with Joe Carter’s home run (I still look away when it comes up on highlight reels). A summary of plausible variables which could lead to elevated levels of exposure, such as artificial turf (which may have contained lead) or anabolic steroids. An analysis of the increase rate of brain cancer among Phillies – here we are told that the Phillies’ rate is “about 3.1 times as high” as the national rate. A confidence interval, along with an interpretation and associated cautions are also included. Let’s explore that “3.1 times” statistic…time to break out the technology. A few weeks back, I attended the BAPS (Beyond AP Statistics) workshop in Baltimore, as part of the Joint Statistics Meetings. Allan Rossman and Beth Chance shared ideas on using their applet collection to explore simulation (see my earlier post using the applets to Sample Stars) along with a “new” statistic we don’t often talk about in AP Stats – relative risk. The national rate was 9.8 cases per 100,000 adult males per year, while the rate in the former Phillies was 30.1 cases per 100,000 – about 3.1 times as high. There are two issues here: first, to perform a simulation we need counts, so numbers like 9.9 and 30.1 just don’t play nice. I’ll use 10 and 30. Also, I wasn’t surprised that this site was not real happy with my using a population of 100,000 for simulation. Here, I am going with 1,000 for convenience and to make the computer processor gods happy – we can debate the appropriateness of this down the road. The applet will then simulate the random assignment of the 2,000 subjects here to the two treatment groups (group A: being a Phillie, group B: not being a Phillie). How likely is it that we will observe 30 or more “successes” (which here represent those who develop brain cancer) in one of the two groups? In the applet, we can see how the “successes” have been randomly assigned from their original spots in the 2-way table to new groupings. AT BAPS, Allan Rossman then explained how we can summarize these two groups using Relative Risk, which is listed under the “Statistic” menu on the applet. In general, relative risk is the proportion of success in one group divided by the proportion of success in a second group. If we have proportions in two groups which are equal, then the relative risk would be 1. We can then link to the newspaper article which claims a 3.1 “relative risk”, simulate many times with the applet (below we see the results of 10,001 simulations), and compare to the reported statistic. According to the simulation, we should only expect to see a relative risk of 3 or above about 0.08% of the time – clearly an “unusual” result. But the article does not claim a significant difference, and cautioned against doing so as a number of assumptions were made which could alter conditions. This would be an opportunity to discuss some of these design assumptions and how they could change the outcome. 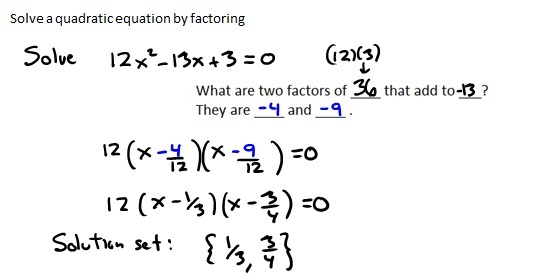 I’m nearing the end of my time with my 9th graders, with this week dedicated to moving beyond factoring as the sole method for solving quadratic equations and towards more general methods like completing the square. Late in May, David Wees shared materials which challenge students to investigate the relationships between “standard form” and “completing the square” form (aside – does anyone agree on proper terms for these?) using area models to build representations. Given that I use area models often to introduce polynomial multiplication, I was eager to maintain consistency in the student understanding. But before we dove into David’s lesson, I wanted students to revisit their understanding of area models. In this Desmos Activity Builder lesson I created, students shared their interpretations of area models and worked in pairs to investigate non-square models. In one of the final screens, students argued for the “correct” interpretation of a model. Using the Desmos teacher dashboard, we could see clear visual arguments for both representations. This was valuable as we ended the lesson for the day, and tucked that nugget away for Monday, when we would begin to formalize these equivalencies. After the weekend, students worked independently through David’s Completing the Square lesson. Not only did students quickly move through the area models and the dual representations, the debates between students to explain how to move from one representation to the other were loud and pervasive. I’m also loving how many of my students have started to use color as an effective tool in our OneNote-taking (below). At the end of the sheet, all students completed problems which translate standard form to vertex form with no support from me (“no fuss…no muss”). It dawned on me that something amazing had happened….my students had figured out completing the square without my ever talking about completing the square. Tomorrow we’ll tackle those pesky odd-number “b” terms, but my students own this already! What proportion of the numbers in Pascal’s Triangle are even? Every time I talk to Jim, he’s bound to have a neat problem for me to chew on. The last time, he shared a fun task involving the harmonic series. Take a few minutes and think about this Pascal’s Triangle scenario…I’ll even leave you some spoiler space. At the ATMOPAV Spring Conference last month, Jim shared an entertaining talk titled “Gambling, Risk, Alcohol, Poisons and Manure – an Unfinished Life Story”. The talk led the attendees on a journey through the history of statistics, starting with games of chance and the meeting of Chevelier du Mere and Blaise Pascal, through the introduction of formal inference procedures developed at the Guinness brewery, and to identifying statistical abuses in the present day. Jim is a life-ling educator and former Executive Director of NCTM who happens to live quite close to me. It was a thrill having him share his ideas with the group. Had enough time to think about this Pascal question? Spoiler time is up! So, which rows are in Pascal’s Triangle are we talking about here? In theory, we are talking about “all” of the rows in the infinite Pascal’s Triangle, which makes this a bit tricky to think about for kids (and adults as well!). But Jim shared with me slides which show the proportion of evens in increasing numbers of rows of the triangle. You will notice that as the number of rows grows, the proportion of even entries also increases, and approaches 1. What a neat result! Below is an animated gif I made using a Pascal’s coloring applet which shows the increase in the proportion of even (white space) numbers in increasing rows. For your class, this is a fun opportunity to talk about the parallels between Pascal’s Triangle, Sierpinski’s Gasket, and fractal area. Already looking forward to my next encounter with Jim! Today I am teaching Power. Power is the probability of rejecting the null hypothesis when in fact it is false. Power is the probability of making a correct decision (to reject the null hypothesis) when the null hypothesis is false. Power is the probability that a test of significance will pick up on an effect that is present. Power is the probability that a test of significance will detect a deviation from the null hypothesis, should such a deviation exist. Power is the probability of avoiding a Type II error. This year, I tried an activity which used the third bullet above, picking up on effects, as a basis for making decisions. Arriving at school early, I got to work making 3 batches of Kool Aid. During class, all students would receive samples of the 3 juices to try. Students were not told about the task beforehand, or where this was headed. Up to now, we had discussed type I and type II error, so this served as a transition to the next idea. All students received cups and as they worked on a practice problem I circulated, serving tasty Kool Aid – don’t forget to tip your server! I told students to savor the juice, but to pay attention: I promised them that this first batch was made using strict Kool Aid instructions. Think about the taste of the juice. Evidence: how much evidence do you feel you have to support our alternate hypothesis – that Sample A was made with LESS mix than the baseline? As you can see, the responses were all over the place – a mixture of “we’re not quite sure” to “these are strange directions” to “I just don’t trust Lochel – something’s up”. But the table has been set for the next sample. Sample A: it was made with just a smidge less mix than the baseline. So I wasn’t totally surprised to see dots all over. I poured drinks again from this new sample, and again varied the sample sizes. I asked all students to think about their evidence in favor of the alternate, and wait until everyone tasted their juice before submitting a dot. And check out those results! Except for a few kids (who admitted they stink at telling apart tastes), we have universal support in favor of the alternate hypothesis. Sample B: this was made with 1/2 the suggested amount of drink mix. Much weaker! This activity made the discussion of power much more natural. In particular, what could occur during a study which would make it more likely to reject the null hypothesis, if it deserves rejecting? Effect size: how far away from the null is the “truth”. If the “truth” as just a bit less than the null, it could be difficult to detect this effect. In terms of AP Stats “concepts of power”, this covers much of what we need. Next, I used an applet to walk students through examples and show power as a probability. And like most years, this was met with googly eyes by many, but the foundation of conditions which would be ripe for rejecting the null was built, and I was happy with this day! Suggested reading: Statistics Done Wrong by Alex Reinhart contains compelling, clear examples for teachers who look to lead discussions regarding P-value and Power. I recommend it highly! The students in my Freshman Honors class have certain expectations for how a math class works – a teacher lectures, there’s lots of drill practice, and then a test. Breaking this mold, and causing them to think of themselves as reflective learners, is one of my many missions. So this past week, when confronted with factoring, I simply refused to lecture. So, you’re not going to teach us? Nope. Now get to work. F1: I can identify and factor expressions which involve greatest common factors. F2: I can efficiently factor trinomials of the form ax2+bx+c, where a = 1. F3: I can factor trinomials of the form ax2+bx+c, where a does not equal 1 (or zero). F4: I can identify and factor perfect square trinomials. F5: I can identify and factor “difference of squares” expressions. F6: I can factor expressions which may represent a combination of F1 to F5. F7: I can factor expressions “by parts” (or “by grouping”) when necessary. 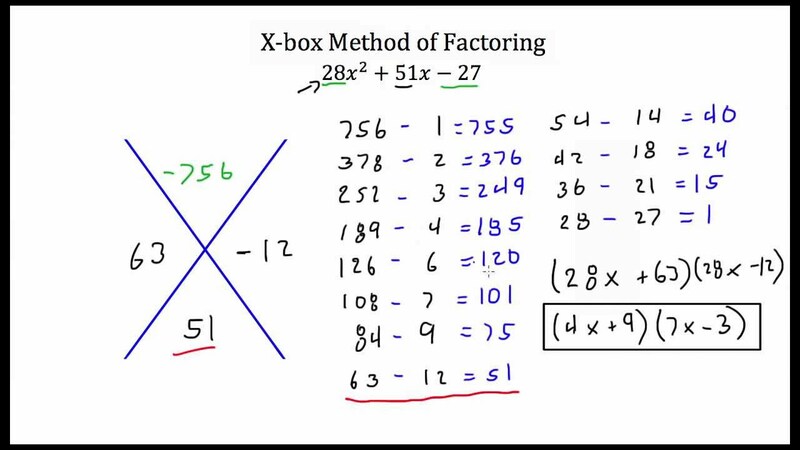 F8: I can factor expressions which are the sum (or difference) of two cubes. Each learning target featured a video – some from Khan Academy, and some from other sources I searched for – but I attempted to provide a variety of methods. Some featured grouping as a primary means, others demonstrated the box method or the diamond. This was the most important aspect of this learning experience: I wanted students to experience a variety of approaches, evaluate them, and make a personal decision about what worked best for them. The students did not disappoint. I also posted other online resources, such as worked examples and flowcharts. One of my favorite resources – Finding Factors from nrich, was also included. Finally, I created an assignment on DeltaMath for each learning target, and a final jumbled assignment. The end of each day featured an exit ticket quiz and recap, to assess progress and provide “next steps” during the week. Some students latched onto factoring by grouping for every quadratic, and explained their reasoning to their peers. Many of these same students later in the week found more confidence in their number sense and chose to group only for “tricky” problems. One student was particularly insistent that the box method was the best was to go for all problems. Others found the diamond method helpful – which led to deep conversations about number sense and how to make searches more efficient. And in one fascinating conversation, a student discovered a “trick” he had found online. The group debated the merits of the method, tried some practice…but as nobody in the group could figure out why the method worked, they quickly dismissed it. Good boys!!! In the end, the quiz scores were great. But beyond the scores, I feel confident that the students have made choices about their learning, assessed and revised their thinking, and can move forward using their new tools. Today I asked students to reflect upon their learning experience, and provide me feedback. Describe something you LIKED about last week’s classes, and why you liked it. I liked being able to choose what i wanted to do. I could focus on my weaknesses and do less problems on what i was good at. I also appreciated the practice problems. I liked that if you knew a topic you could move on and didn’t have to wait for someone else or the next day of class. I liked that I could learn and do problems at my own speed. Describe something you DIDN’T LIKE about last week’s classes, and why you didn’t like it. This last comment intrigues me…and I’m not sure if I should be bothered by it…I don’t think I should be. In many respects, I feel I worked harder during the classes, as students were all over the place. But I also realize students don’t see all of this going on around them. I’ve become intrigued by how I can be less of a teacher and more of a facilitator in my classes, and this was a solid step forward I feel. Now, off to plan to not lecture tomorrow….